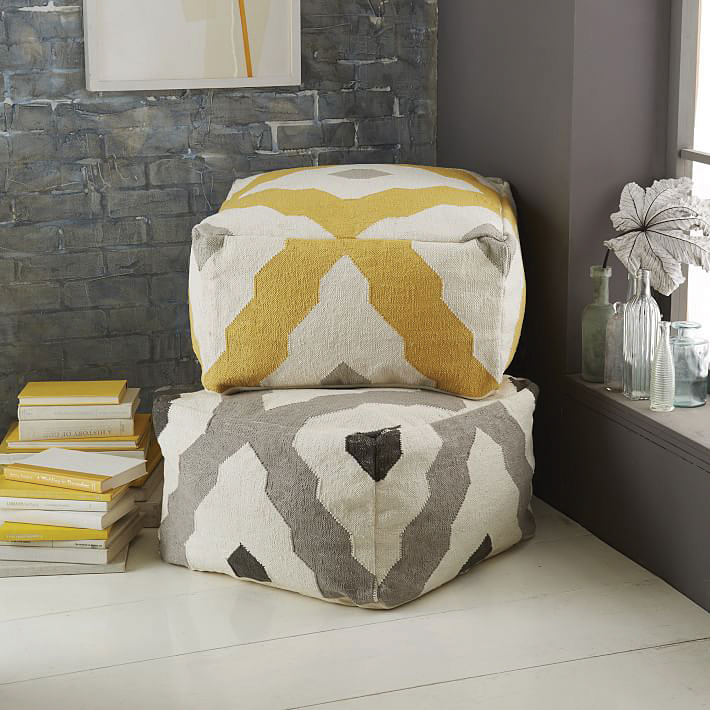 Ottoman, seat, table... however you use this versatile piece, a pouf is a fun accent piece for any room. 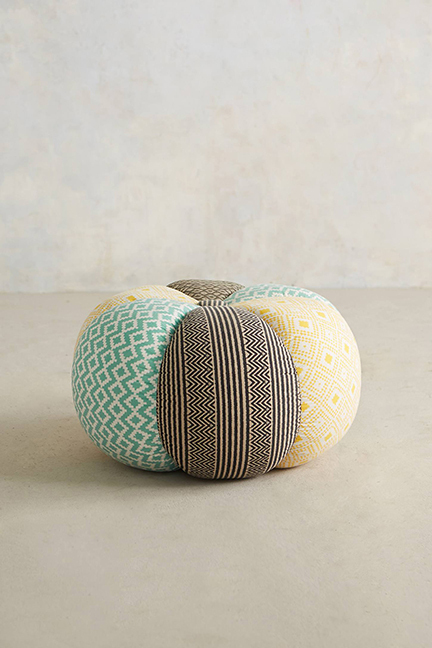 one: Sawan pouf, available at Anthropologie. 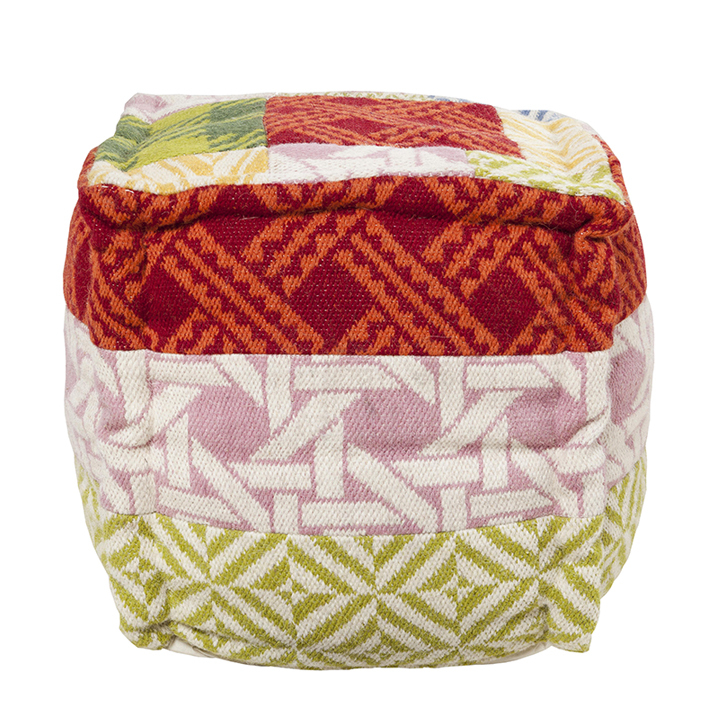 two: Bazaar Pouf, available at West Elm. three: Tipsy 18" gold pouf, available at One Kings Lane, onekingslane.com. 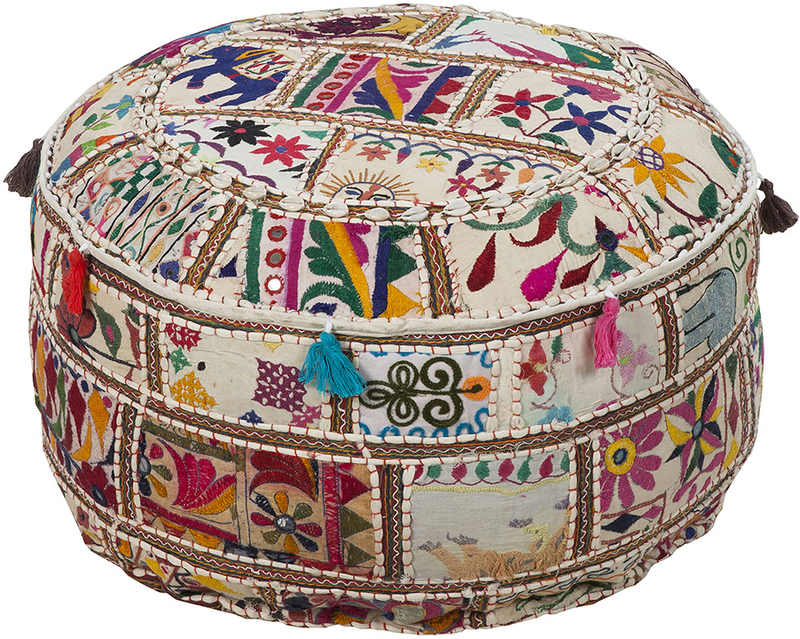 four: Papyrus pouf, available at Savvy Surrounding Style. 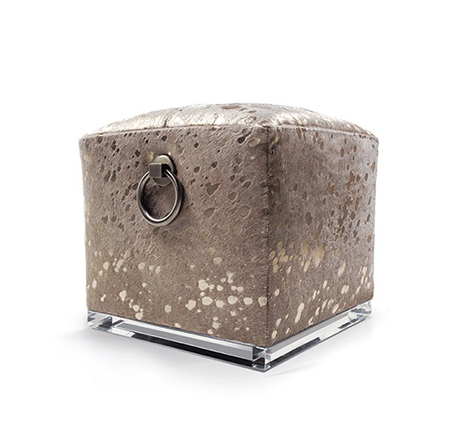 five: Carmine pouf, available at Savvy Surrounding Style. 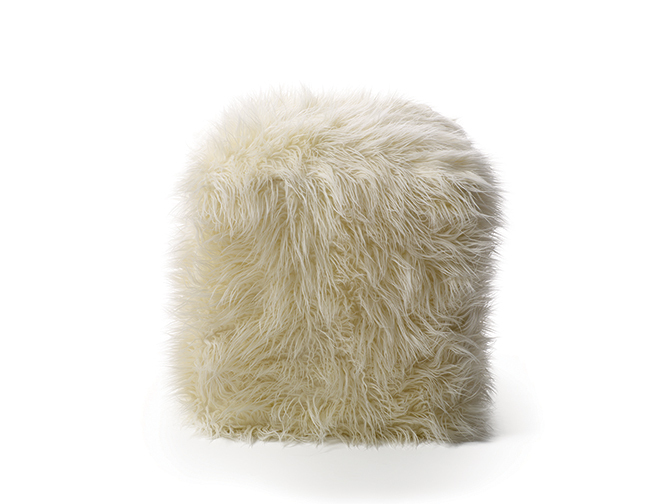 six: Ivory faux-fur pouf, available at Ethan Allen. 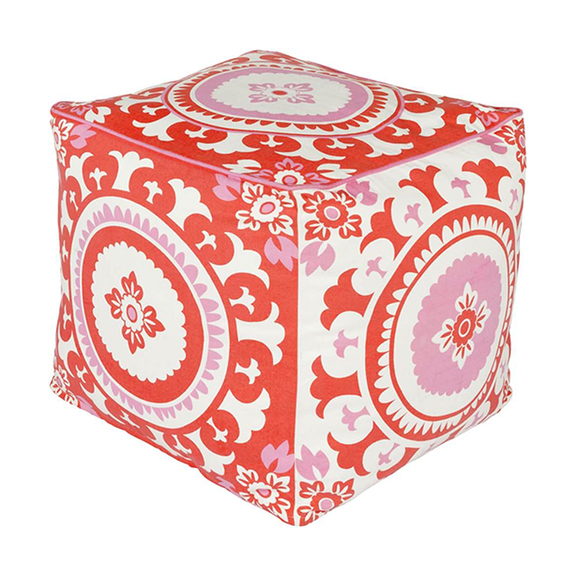 seven: Poppy pouf, available at Savvy Surrounding Style.